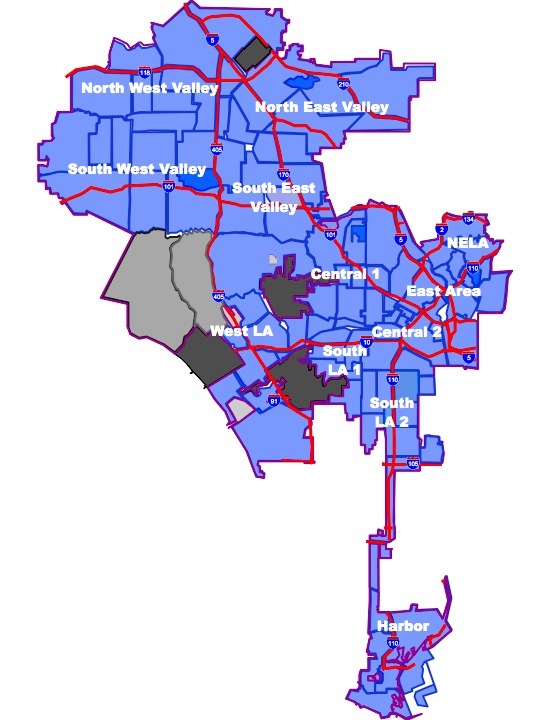 In Spring 2016, elections will be held for over 90 Neighborhood Councils in the City of Los Angeles, to elect over 1,000 Neighborhood Council members. The Green Party stands for grassroots democracy. Greens are known for 'thinking globally and acting locally'. Serving on your Neighborhood Council is an excellent way to be involved. Click here to confirm which Neighborhood Council District you live in and see what seats are open in your district. Or click on the map to the right to find the neighborhood council where you live, and review this candidate elections manual to learn how to run. To file to run, you can fill out this form on-line, or print this form and mail it to City Clerk, 555 Ramirez Street, Room 375. Los Angeles, CA 90012. Contact the City Clerk with questions at 213-978-0444 and clerk.electionsnc@lacity.org. If you decide to run for Neighborhood Council, please let us know. We'll share campaign experience and support, and connect you with other Greens in your area. Over 340 California Greens have been elected since the party's founding in 1990. Maybe you'll be next.